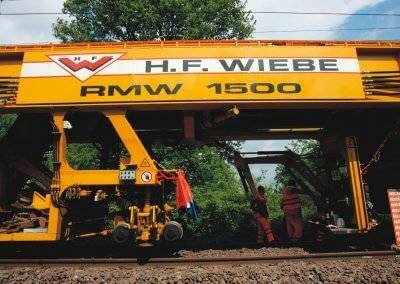 Thanks to there screen systems, each with three screen trays, the RMW 1500 ensures excellent quality when cleaning the track bed. 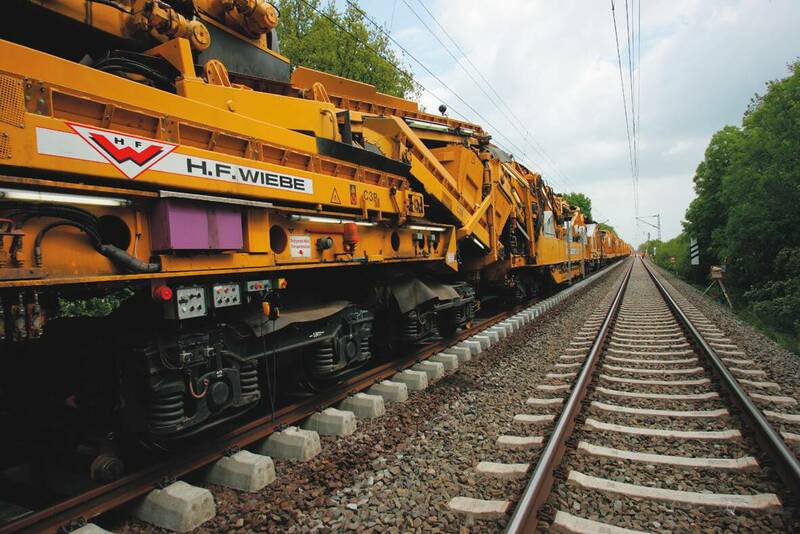 Two high-performance excavation chains move the track bed material. A section of 700 metres is completed within an hour. 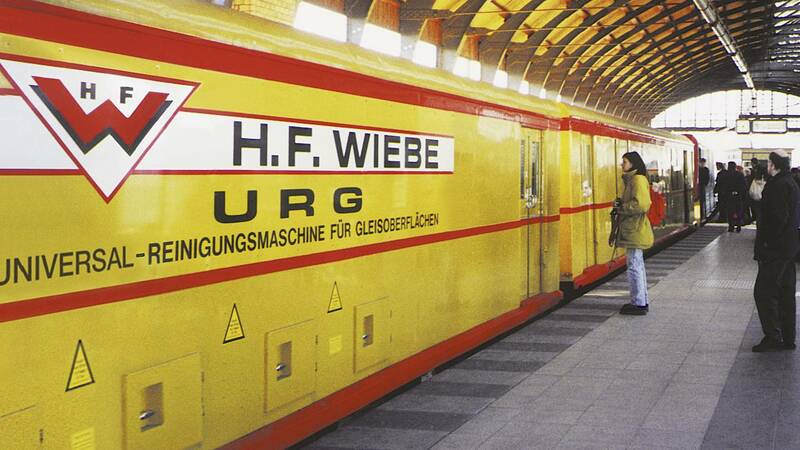 Tracks and railway networks ate important passenger and freight transportation routes. 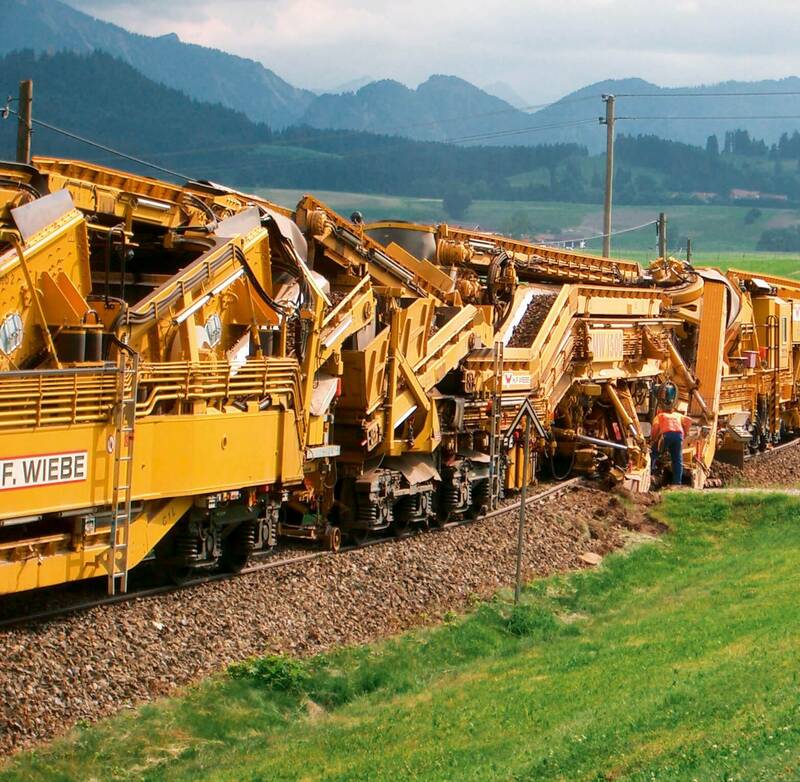 The necessary infrastructure is being continuously expanded, and rail traffic is steadily growing. 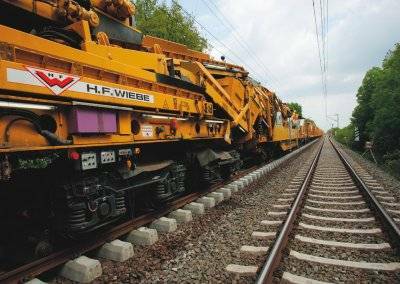 Thorough and efficient track bed cleaning is essential to ensure the safety and serviceability of the track systems. 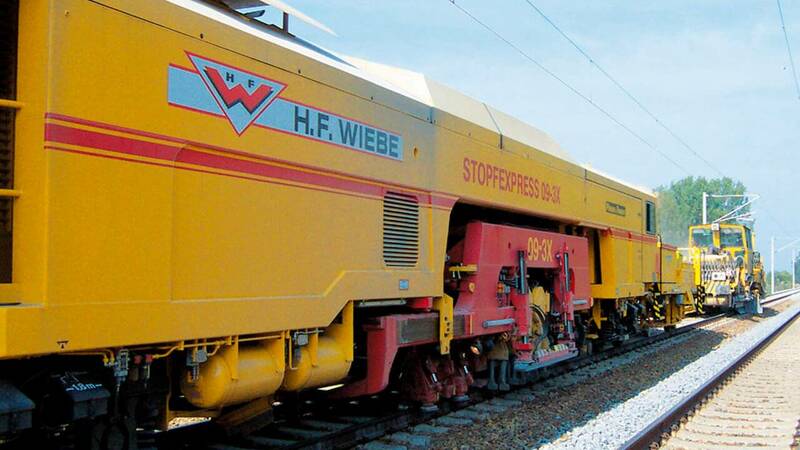 The Wiebe Group meets this challenge with the high-performance cleaning machine RMW 1500. 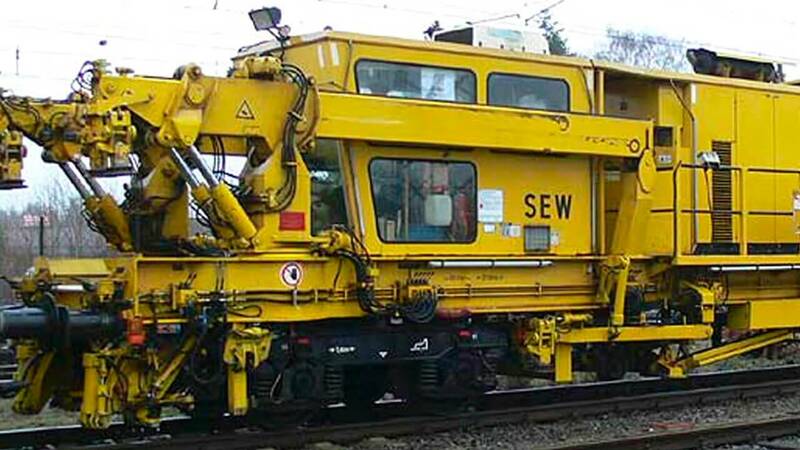 Thanks to its three screen systems, it is one of the most powerful track cleaning machines. 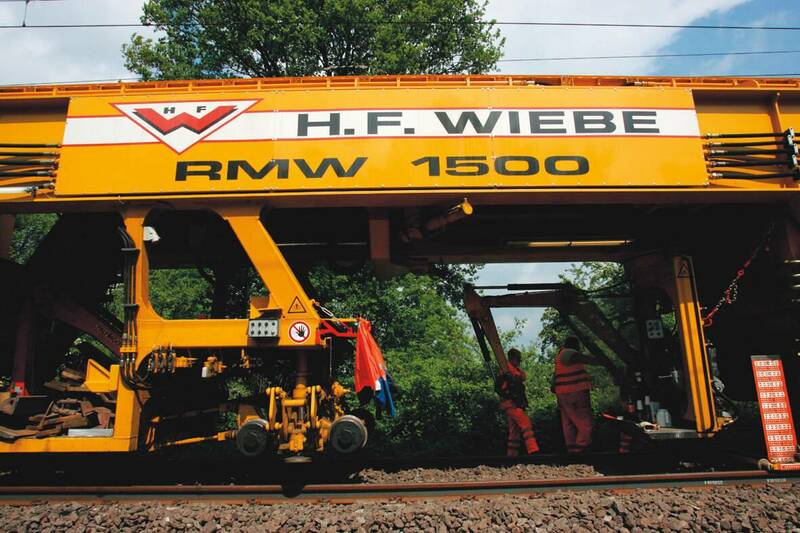 The RMW 1500 – a clean thing within the Wiebe Group’s machine pool. 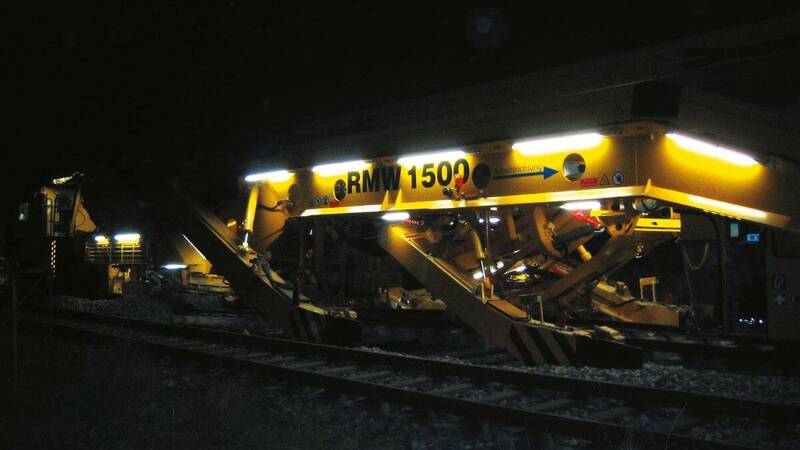 To ensure the highest quality of the final track result, the ballast bed cleaning machine RMW 1500 is placed onto an integrated DGS to stabilise the track system. Also, the machine is guided using the target geometry data by means of a integrated ALC. 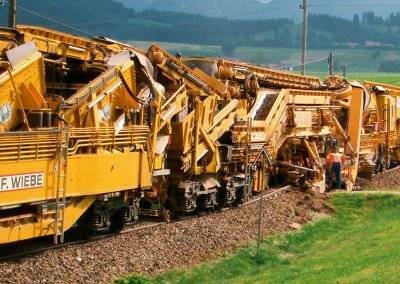 A soiled track bed can pose a substantial risk for smooth rail operation and can impact on the efficiency of a track system. 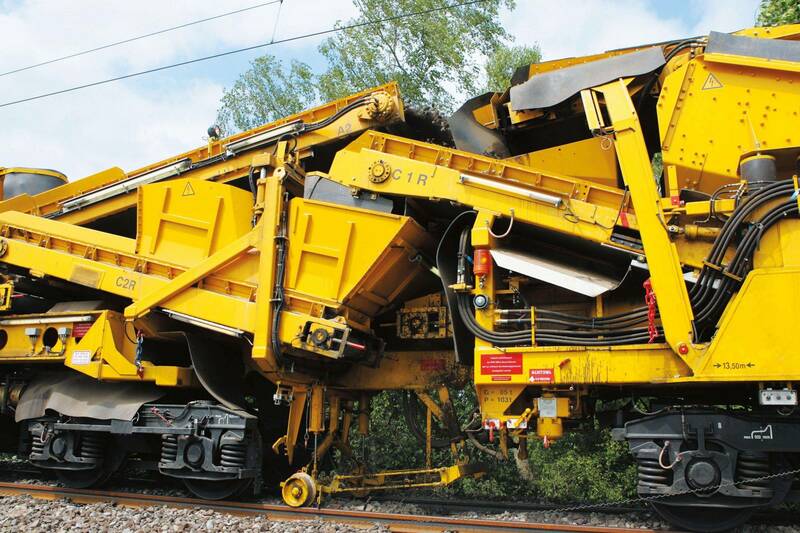 High maintenance costs and expensive interruption of the rail traffic are the consequences. 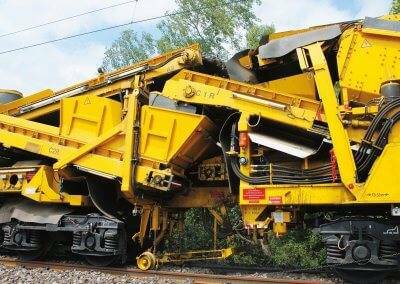 We use the track bed cleaning machine RMW 1500 to counter this. There are few cleaning machines that combine thoroughness and speed so well. 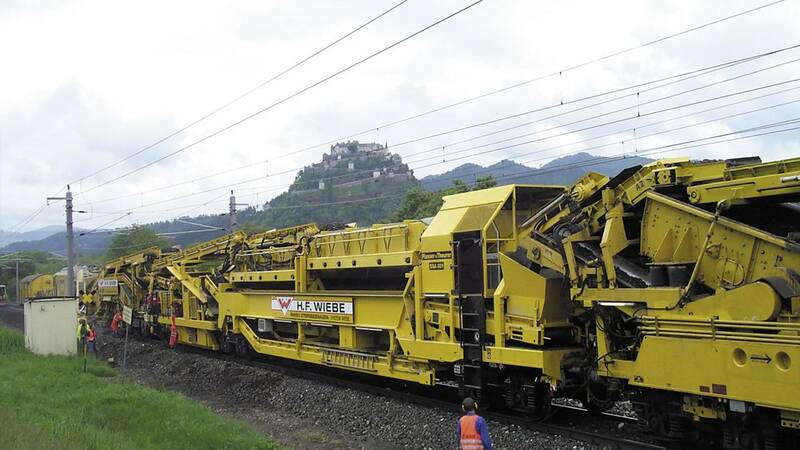 Its results are impressive: 1500 cubic metres of track bed are cleaned and 700 m of track are covered in an hour.